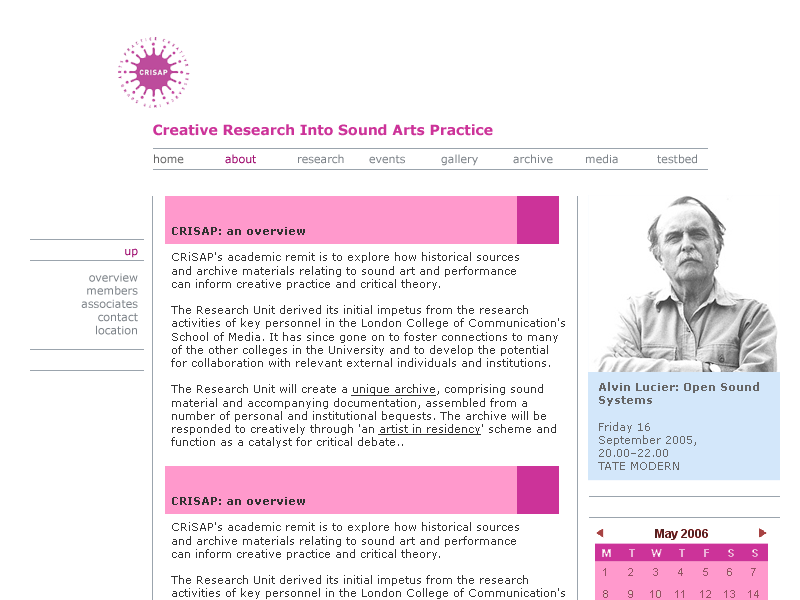 - researching, and disseminating artists' practices with the spoken word. 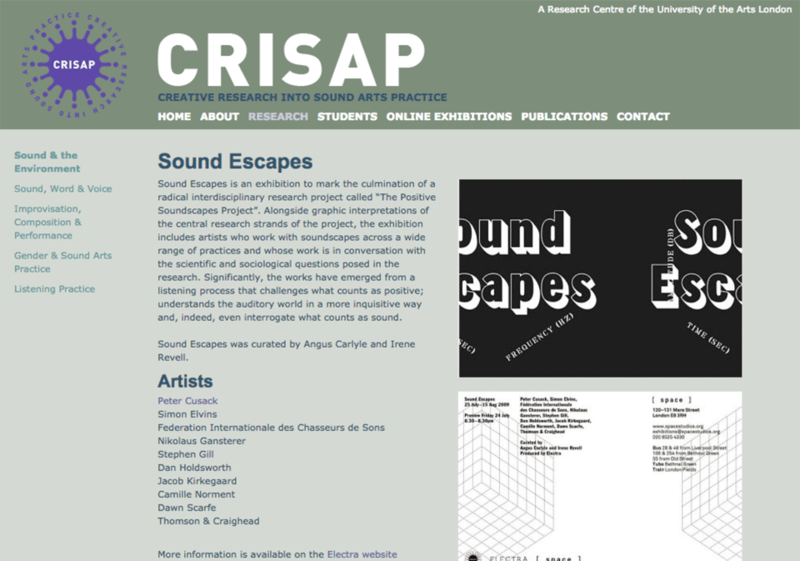 Finetuned has worked with CRiSAP on their web presence; the main website, online exhibitions and special projects since 2006. 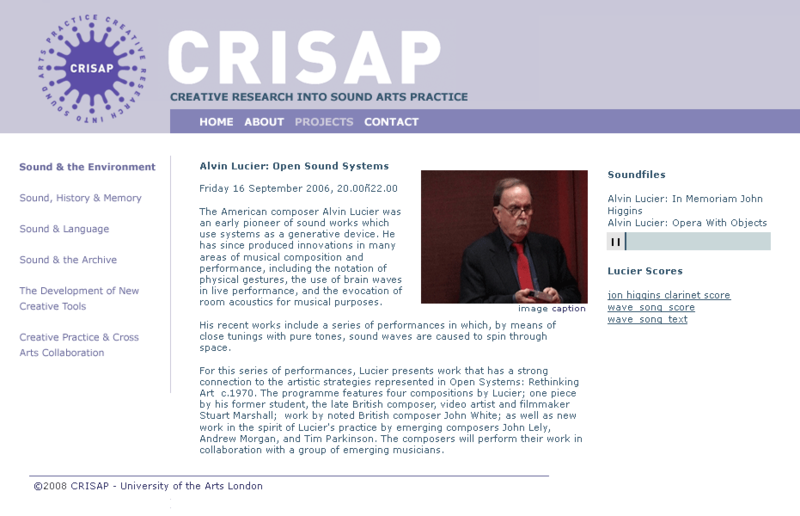 Using a range of open source solutions, we enabled CRiSAP's website administrators to steer their own ship, in terms of layout, style and content; a risky approach in the context of design consistency, but one they were happy to experiment with. 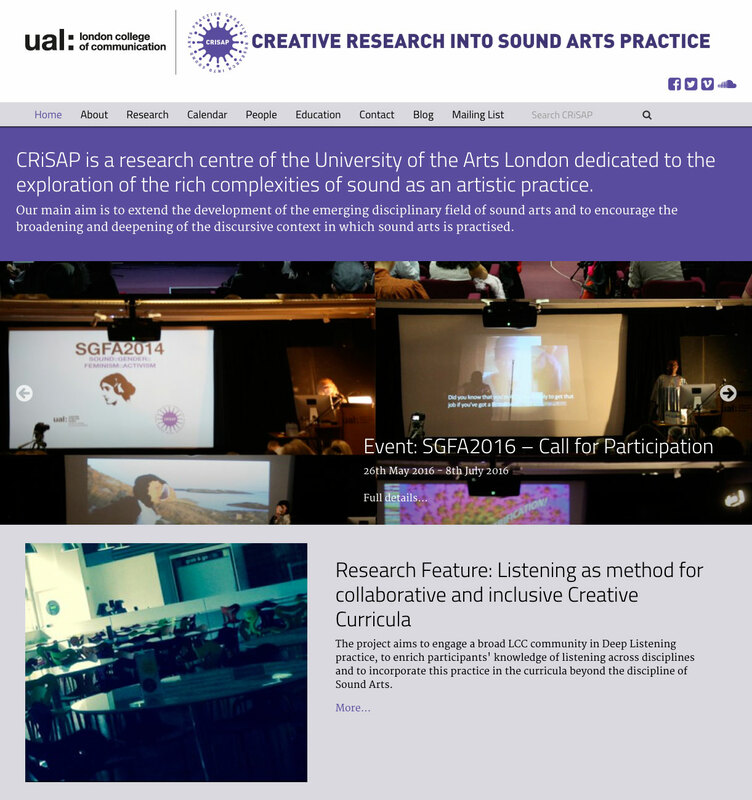 Eight years on, we are happy to have delivered the fourth version of the site; with a fresh new look, responsive design, mobile first and other modern web solutions to communicate CRiSAP's diverse and exciting content.